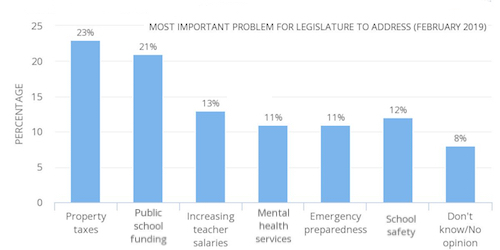 The latest University of Texas / Texas Tribune Poll covered a range of subjects and issues with an emphasis on the current legislative session. 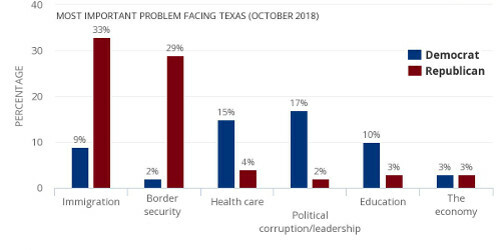 The resurgence of the politics of border security remind us that the nativist sentiment among the Republican base is never far from the surface. 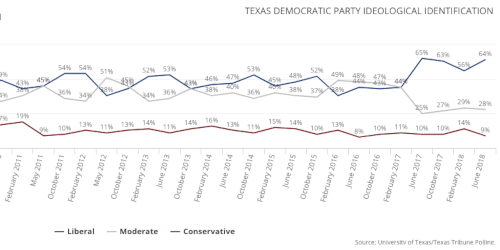 We pulled together polling data from over 30 University of Texas / Texas Tribune polls to see if and how ideological identification in Texas has changed since 2008 (the inaugural year of our data).